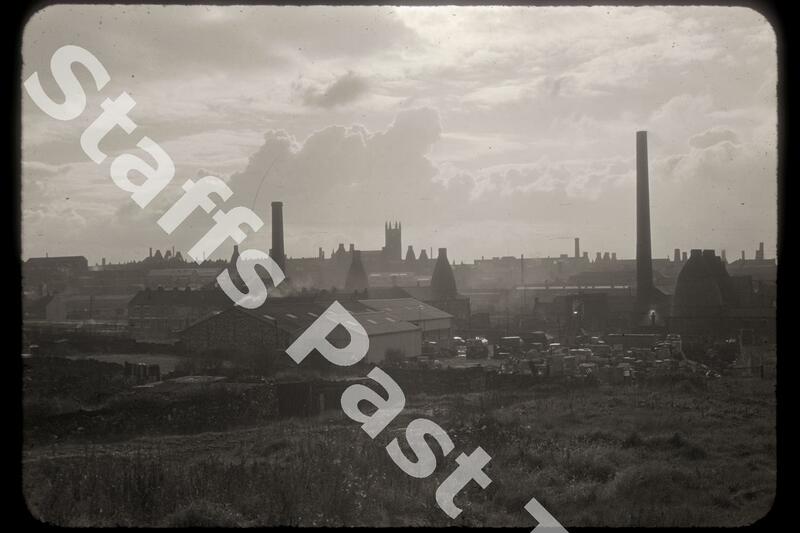 Description:This photograph was taken from what was called Meir Hay fields, looking westwards towards Longton with the tower of St James' church on the skyline in the centre. 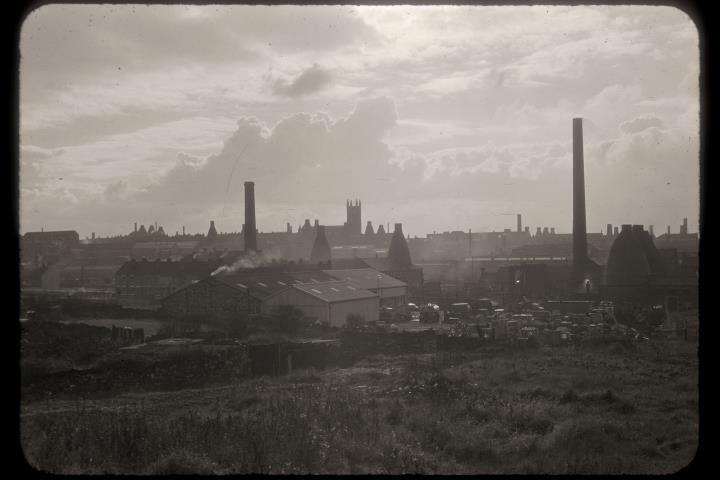 This part of Longton was thought to have had the highest density of bottle ovens and chimneys in the city. In the foreground is a mixture of transport depot, crate makers and at least two pottery works. These land uses have largely been replaced by housing.